Trump tweeted out the announcement soon after it was made. Trump thanked Sessions for his work and said Sessions’ chief of staff would be acting attorney general. In his letter to Trump, Sessions ticked off a list of accomplishments. “Most importantly as my time as attorney general, we have restored and upheld the rule of law,” Sessions wrote. “Thank you for the opportunity, Mr. President,” Sessions said in his closing. Sessions’ departure from the Trump administration comes after more than a year and a half of public beratings from the president, who continually put the blame on him for special counsel Robert Mueller’s ongoing investigation into Russian election interference. When asked earlier about Sessions’ job security at a press conference Wednesday, Trump said he would rather answer the question later. “While I am attorney general, the actions of the Department of Justice will not be improperly influenced by political considerations. I demand the highest standards, and where they are not met, I take action,” Sessions added at the time. Trump called Sessions an “idiot” in May 2017, “beleaguered” in July 2017, and “disgraceful” in February of this year. In August, he complained that the Russia investigation would have never been launched at all if he had a “real” attorney general in place to stop it. Sessions decided to recuse himself from the Justice Department’s Russia investigation in March 2017 after consulting with Justice Department officials due to two previously-undisclosed meetings he had with former Russian Ambassador Sergey Kislyak in 2016. Trump then reportedly asked Sessions to reverse his decision at a dinner at the president’s Mar-a-Lago resort in Florida in March shortly after Sessions made his decision, but the attorney general refused. In May 2017, after Trump fired then-FBI Director James Comey, Deputy Attorney General Rod Rosenstein appointed Mueller. It was widely expected that Sessions would leave his position after the 2018 midterm elections, regardless of whether they favored Republicans or Democrats. Sessions, 71, was confirmed in February 2017 with a 52-47 vote in the Senate. Before that, he served in the Senate beginning with his election in 1996 and subsequent re-elections in 2002, 2008 and 2014. Since taking over the Justice Department, Sessions has been instrumental in carrying out many of the promises Trump made on the campaign trail, including on immigration and border security, violent crime and religious liberty. The pecking order at the Justice Department and as it pertains to the special counsel now becomes a bit confusing. The acting attorney general must be someone who is at the same clearance level as the attorney general. That person would then assume control of Mueller’s investigation. However, Sessions replacement cannot be Deputy Attorney General Rod Rosenstein. Rosenstein is currently acting attorney general as it pertains to Mueller’s investigation, and thus cannot serve in both capacities. Should Rosenstein become acting attorney general, Solicitor General Noel Francisco would take over Mueller’s investigation. The House of Representatives was forced to adjourn its plenary on Wednesday as a result of faulty microphones. The lower legislative chamber adjourned at about 1pm after some of the microphones continued to malfunction. A similar situation was experienced in recent past, causing the lawmakers to be inaudible when speaking from their seats. On Wednesday, the situation worsened, forcing Yakubu Dogara, speaker of the house of representatives, to adjourn midway into the session. Some of the items in the order paper were yet to be attended to when Dogara adjourned the session. TheCable was unable to confirm the exact budgetary allocation for microphones in the national assembly. But the speaker, while adjourning, said the microphones have been ordered for but are yet to be delivered. He said they are being expected in the next couple of weeks. The Minister of Information, Alhaji Lai Mohammed, on Wednesday, said the N30,000 minimum wage proposal contained in the report of the tripartite committee set up by the Federal Government was still a recommendation. He said President Muhammadu Buhari would still consider the report which was on Tuesday presented to him by the chairman, Ama Pepple, and then take a decision on it. She had said her committee also drafted a bill that the Federal Government would send to the National Assembly to effect the change. A section of the media had reported that Buhari had accepted the report and endorsed the recommendation of N30,000 as the new minimum wage. “I think it (N30,000) was a recommendation. Mr. President will consider it and will make his views known in due course,” the minister said. Lagos State Commissioner of Police, Edgal Imohimi, has directed that all beer retailing outlets located within the Police community in the state be shut down indefinitely. The directive was sequel to the dismissal of a Police Provost, Inspector Useni Kadima, who was summarily dismissed on Wednesday following a viral video showing an inebriated Kadima in Akowonjo, Dopemu area of the state. Before his dismissal, Kadima was attached to Police Mobile Force, Squadron 22 Base, Ikeja. 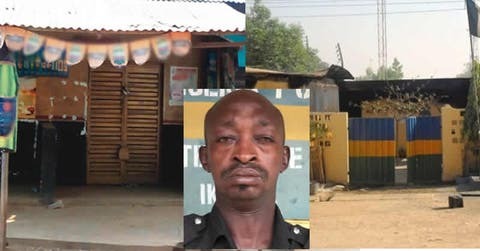 Lagos State Police Command’s Spokesman, CSP Chike Oti, said that an embarrassed Imohimi had directed the officer in charge of the Command Provost Section to identify and shut down “all beer parlours within the Police community in the state” to prevent a re-occurrence. In the same vein, the CP warns members of the public against offering policemen alcoholic drinks while on duty. “He added that henceforth, any policeman found drunk on duty will be visited with similar punishment,” Oti said. Babatunde Fashola, minister of power, works, and housing, says debt for infrastructure in Nigeria is good debt, as far as he is concerned. Speaking at the Africa Investment Forum in Sandton South Africa on Wednesday, Fashola said the Nigerian government should not be judged like a private company when it comes to borrowing. “The only thing I want to say about debt is that if it is debt for infrastructure, as far as I am concerned, it is good debt,” Fashola said. The former governor of Lagos state said as a governor in Africa’s largest city, he had to take loans to set up six power plants in the state, but tied the repayment of the debt to the state’s monthly allocation from the federal government. He said he gave the investors the assurance that if he defaulted, they could take the money from the monthly income of the state. Fashola said people do not want you to raise taxes, and do not want you to borrow, yet they want roads and bridges, adding that there is no other way out. “On this side, I think my outlook is different; if you can’t find the money, just like I challenged people two days ago, they want roads, they want bridges and they don’t want to borrow and they don’t want you to raise taxes. So how do you deliver? The minister said Nigeria’s power problems have changed over the past three years, yet the government must keep up. Fashola explained that when he came in as a minister, the problem was how to generate power, he said today, the problem is how to distribute power. He said to power Africa as a continent, the plans must be different, adding that what works for Botswana will not work for a country like Nigeria, which is a federation with over 400 parliamentarians. Nigeria’s debt has grown by over 100 percent in the past three years. The Peoples Democratic Party (PDP) Presidential candidate, Atiku Abubakar, has commended the Federal Government for agreeing to pay N30,000 minimum wage negotiated with labour leaders in the country. Abubakar who made the commendation in a statement his Presidential Campaign Organisation on Tuesday in Abuja, described Nigerian workers as the “goose that lays the golden egg” and was worthy of the best pay that Nigeria could afford. Abubakar recalled that he had last week stated his commitment to a living wage as one of the pillars of his soon-to-be-launched policy document on making workers’ welfare a priority. He commended the patriotism displayed by the leadership of the Nigerian Labour Congress, Trade Union Congress and other labour affiliates in suspending the planned nationwide strike. The former Vice President also called on the National Assembly to speedily pass legislation that would make the new minimum wage a statutory requirement. He urged President Muhammadu Buhari to keep promise and abide by the new minimum wage agreement. “No sacrifice is too great to make for us to get Nigeria working again and that is what the Atiku Presidential Campaign Organisation is all about. However, international oil prices crashed in subsequent years, thereby throwing the country into an economic hardship. At the inception of this administration, the country’s economic fortunes worsened, nose-diving into a recession, with dire consequences on all sectors of the economy, including education. Godwin Emefiele, the governor of the Central Bank of Nigeria (CBN), says Nigeria tops other African countries in remittances inflows and is among the top five globally. He did not give a figure, but said African countries received $72 billion in remittances in 2017. The World Bank report being quoted suggested that Nigeria received $22 billion in remittances in 2017 alone — behind China, India, Mexico, and The Philipines. This shows that Nigeria receives 30.56 percent of the $72 billion remittances to Africa, according to the report and the governor’s revelation. Tumala, who was represented by Emmanuel Olowofeso, said that with support from the AIR, National Bureau of Statistics and the National Population Commission, structures necessary for the conduct of a remittances household survey being planned for early 2019 was being finalised. More than 10 soldiers have been reported missing following an attack on a military base in Kukawa, Borno state. The United States Democratic Party has taken control of the House of Representatives in the mid-term elections, dealing a blow to President Donald Trump. Female candidates stole the spotlight in an election cycle that had been billed as the Year of the Woman. Democrats Ilhan OImar and Rashida Tlaib made history in Minnesota and Michigan respectively as the first Muslim women elected to Congress. Democrats Sharice Davids of Kansas and Debra Haaland from New Mexico will become the first Native American women elected to Congress. Ms Davids, a former cage-fighter, is also the first openly gay representative from Kansas.